Will HTML5 be the death of native apps? With the advent of the mass-marketed smartphone, the iPhone, in 2007, small-functionality native apps were a logical functionality solution. Small, compact pieces of software providing everything from weather reports to mobile games were available at a tap of our screen for 99 cents (or free) from an online store. Android-based mobile devices followed Apple’s example, and the native app reigned supreme for several years, providing a more tailored experience that appeared much safer than the terrifying primordial, virus-riddled soup of web-based applications. However, with the arrival of HTML5 in 2015 and with several years of consistent refinement, web-based applications are making a strong case for a more open, accessible format for content delivery. So the market has returned to the original conflict: native vs web-based applications. But this time, the open web has powerful new software at its disposal. 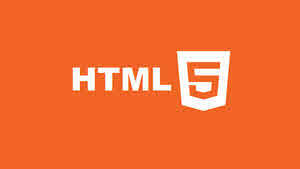 HTML5 is an updated, drastically improved version of HTML4. It’s a compilation of three types of code that is capable of delivering almost every function a web designer could desire. HTML5 can animate pages, play media without resorting to plugins, and be used to code complex applications that run in a browser. Also, HTML5 isn’t proprietary software, allowing designers to create professional content at a reduced cost. Most importantly, perhaps, HTML5 distinguishes itself from native applications by being completely cross-platform. Any web-capable device can access HTML5 content, drastically reducing the amount of work required for developers and companies to host them. The most prominent issue facing the native app is one that has persisted since their ascension to ubiquity in 2008: native apps are isolated chunks of closed code. Mobile apps are written in the intended device’s specific coding language (Android uses Java or Kotlin and iOS uses Objective C or Swift), meaning that there is little-to-no cross-platform viability. On the positive side, this sterile, contained approach does mean that the overall app market is safer from viruses, and native apps typically provide faster, more stable access to a more tailored end-user experience. Native apps therefore still provide advantages over HTML5 with regard to more streamlined user experiences, and faster load times. Many of the more sophisticated gaming apps, like Player Unknown’s Battlegrounds Mobile App, benefit from native app status. Quicker load times and greater depth of features allow them to more efficiently access a device’s processing power. They can also be used offline, and perform better in areas where access to the web is restricted. Where HTML5 is gaining ground over the native app are areas in which large numbers of similar-use applications with a focus on variety compete with one another. In the online casino world, developers are constantly creating new content, and the ability for that content to be played cross-platform (build once, use everywhere) means that customers can try out multiple games without having to eat into their download data. The Super Casino online experience, for example, is tailored to players who want to try out several games without committing to a download, and HTML5 allows for this ease of access far more than a piece of native software. While native apps still haven’t succumbed to the threat of open web products, HTML5 is constantly evolving and improving. We can expect the advantages of native apps to shrink going forward, as HTML5 provides deeper, more stable end-user experiences, and access to the internet improves further. If you have come this far, it means that you liked what you are reading (Will HTML5 be the death of native apps? ).